In anticipation of a looong car ride, I created these simple matching activities for toddlers. If I give my Two a magnetic baking sheet, he can do them right on his lap. Every day my toddler reminds me that he’s no longer a baby. He requests big books now (no more board books! ), is starting to learn the alphabet, and is eager to do whatever his older siblings are doing. Most of what I’ve shared on this blog is for ages 3 and up, but it’s time to start creating activities for my Two as well. 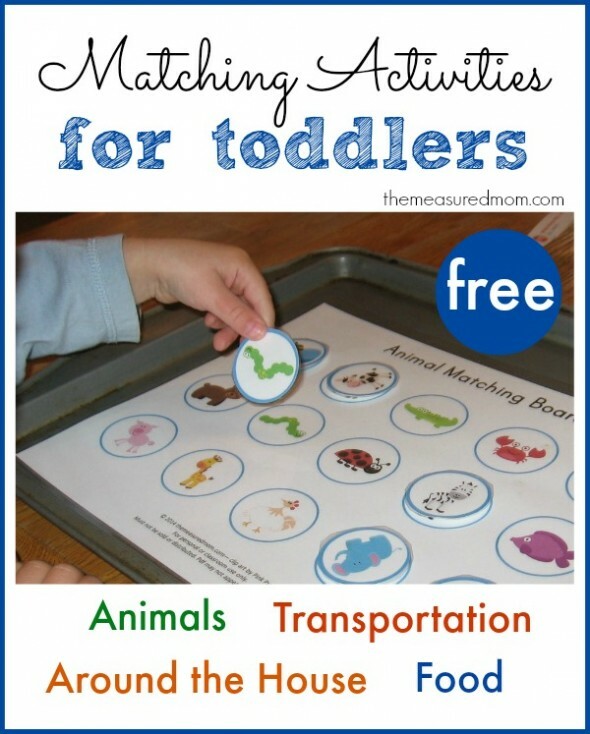 What are these matching activities for toddlers? I’ve created four sets. Each set consists of two pages of matching pictures around a particular theme (Food, Transportation, Animals, and Around the House). Keep reading to learn how to assemble them. Why are these activities useful? 1. They’re a vocabulary builder. I chose simple themes with basic pictures so that your child can use vocabulary he already has — and, with your help, add to it. 2. They provide matching practice, an important early math skill. 3. They are great for packing in a bag to use in the waiting room or in the car. They’ll also keep your toddler busy while you get dinner on the table. Can you teach this skill without a printable? Absolutely! Put a bunch of matching items into a large box. 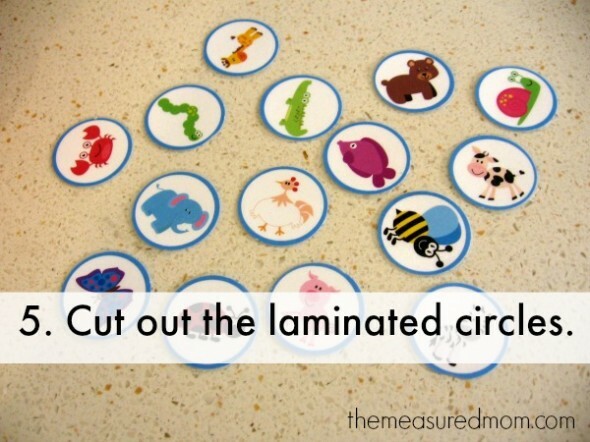 Work with your toddler to group the objects that are the same. 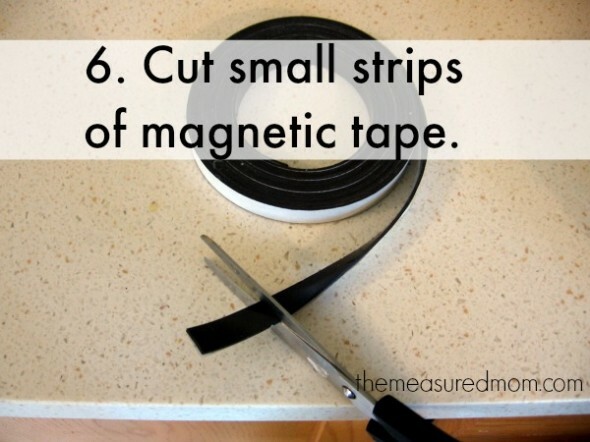 You can use canned goods, silverware, toys, clothes… the possibilities are endless! But sometimes you need something now – no assembly required. If you do the work on these ahead of time, they’ll be waiting for you. 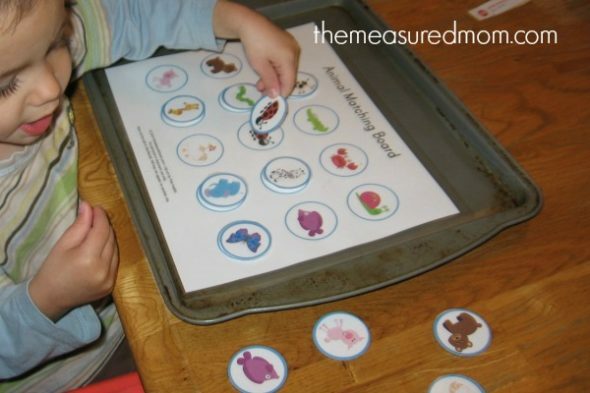 How do you assemble the matching activities? 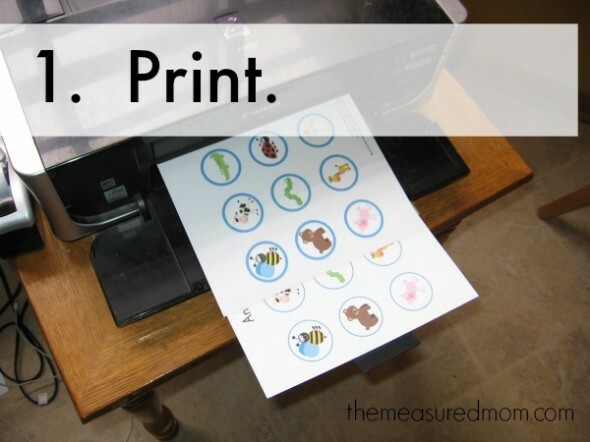 Go to the end of this post to print. Each activity consists of two pages. One of the pages will have thick borders around each picture. Cut a straight line next to each picture. 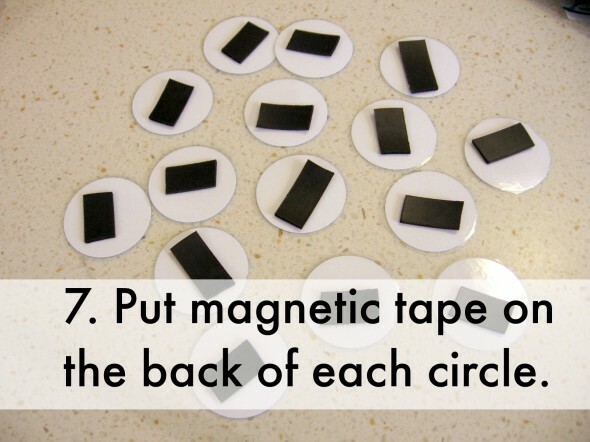 I decided to make this a magnetic activity so it will work well in the car. Adhesive magnetic strips work pretty well. You could use clear Velcro dots if you want. 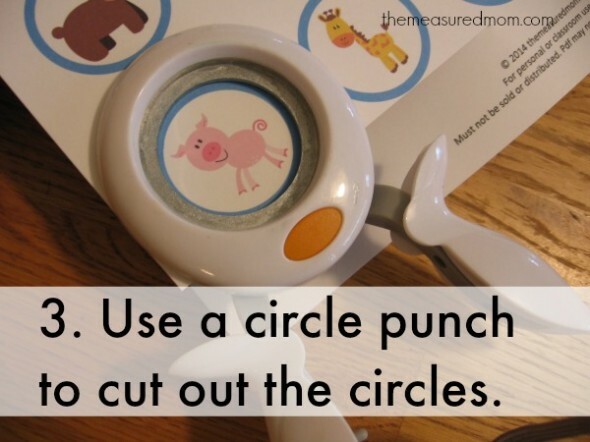 If your toddler won’t be bothered by the circles getting moved around when he bumps them, you could skip this step entirely. 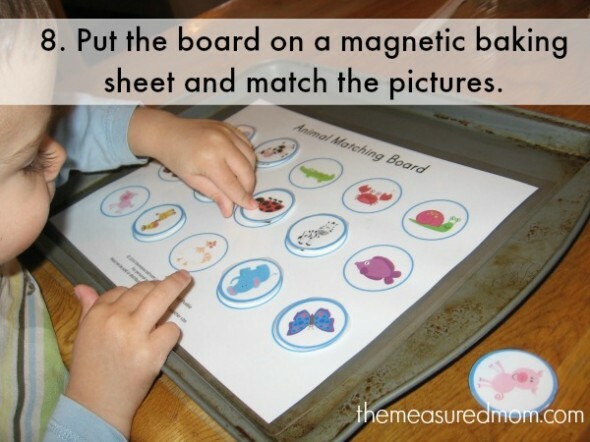 A magnetic baking sheet is the perfect surface for playing. I’m hoping that when we’re in the car, the edges will catch anything that might spill. 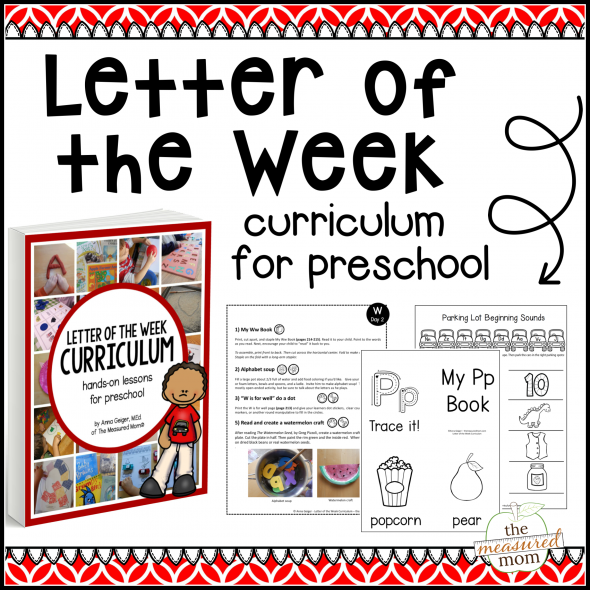 My Two really loves these, and I hope your toddler or preschooler will, too! 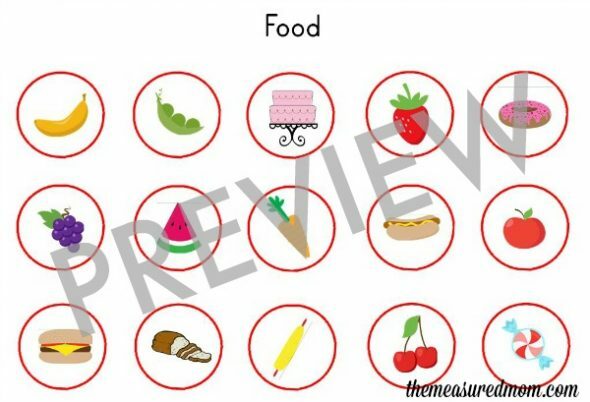 Get the Food matching activity HERE. 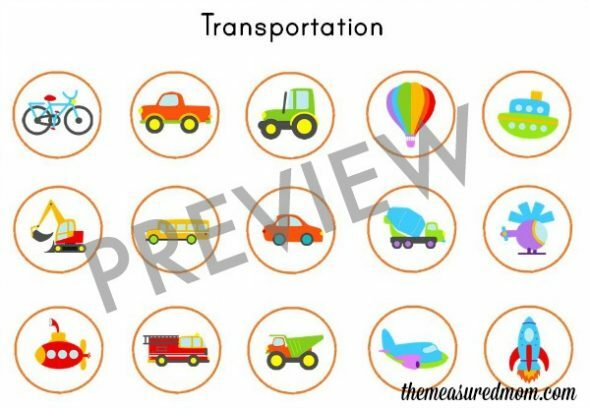 Get the Transportation matching activity HERE. 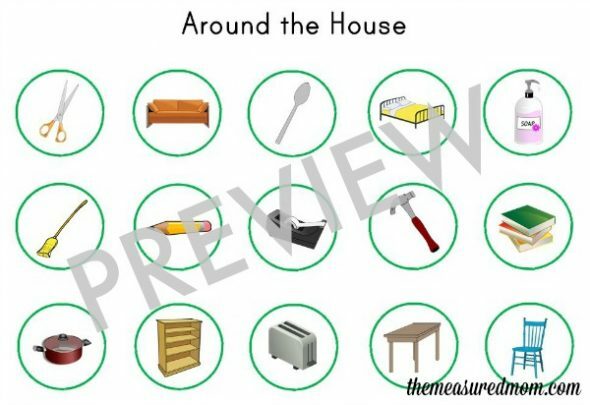 Get the Around the House matching activity HERE. 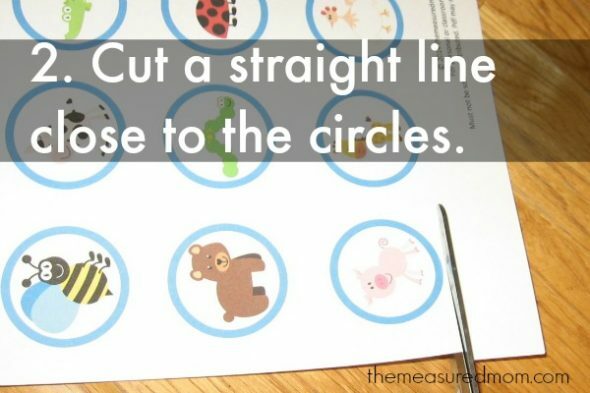 Get the Animals matching activity HERE. 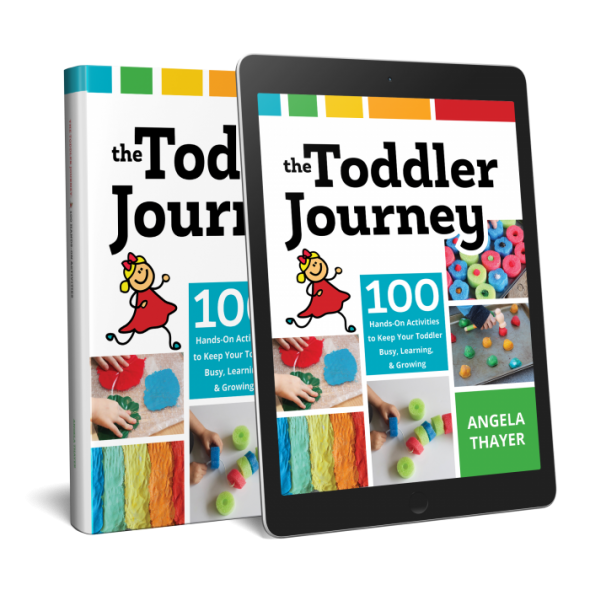 Looking for more toddler activities? We own and LOVE this ebook! Looking for more activities for your toddler? Follow me on Pinterest! 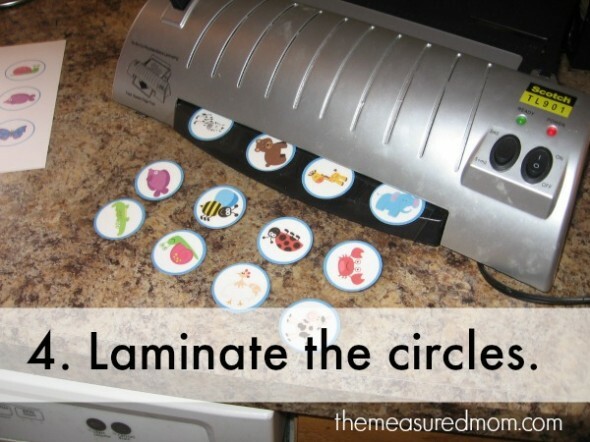 Follow The Measured Mom’s board Toddler Play Ideas on Pinterest. This will be great for my son, and I know his sister (older child) will want a go at it too. You’ve made planning a little bit easier, thank you. So glad to hear it, Royena! Thanks so much for stopping by. Love these! Making sets for my 2 and my 4 for our upcoming road trip! Love magnetic things for the car. I tried printing them but it said item doesn’t exists ? Wonderful post, love the idea of making this for a road trip. It can work so well even as a waiting for dinner game… and so on. Thank YOU! They work for me, Iaila. Try all these tips and let me know if it still doesn’t work for you! Great idea! I’m glad to hear that you can use these. 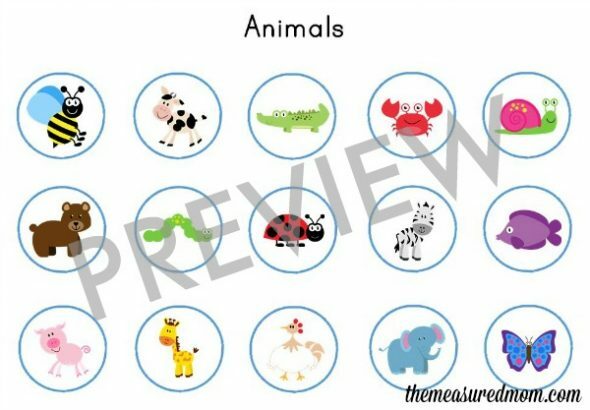 Hi, Thank you so much for sharing and introducing this great printable matching board. and I was also impressed with the magnetic baking sheet idea from you. I’m sure I can use this activity or your idea for other activities usefully. These are exactly what I was looking for. thank you so much for taking your time to create such wonderful activities. I’m so glad you can use these, Cheryl! My husband has had three strokes since 2008, This last one in 2017, left him with vascular dementia. which really means he is a two year old child again. I had such a time with him putting things in his mouth so I looked up adult pacifiers. I found them on a strange site. lol We have gone from playing scrabble every day to playing Go Fish or memory matching. Just thought you’d like to know you have helped a completely different age range you probably wouldn’t have thought of. So thank you for sharing your art work with us. That’s a delightful surprise, Judith! It’s wonderful to hear about the love and care you are giving to your husband.